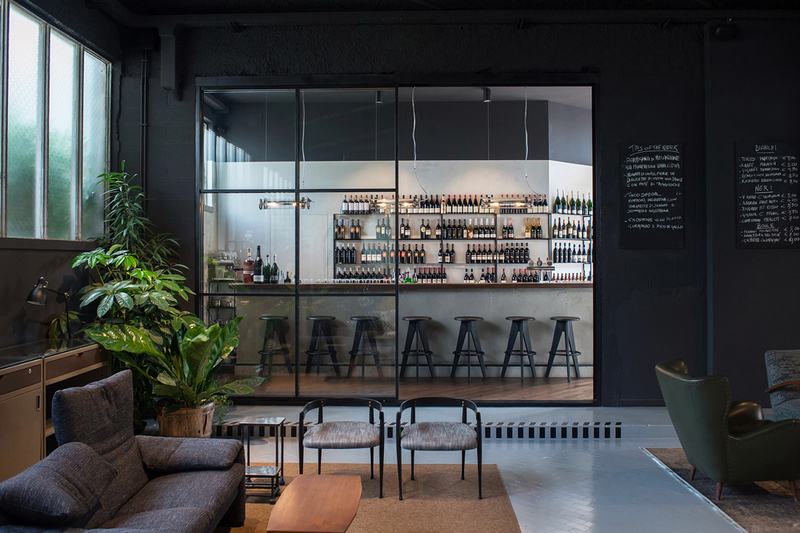 Formerly a shuttered petrol station, The Filling Station Motel is a creative space in Italy that’s part restaurant, retail space and workshop. 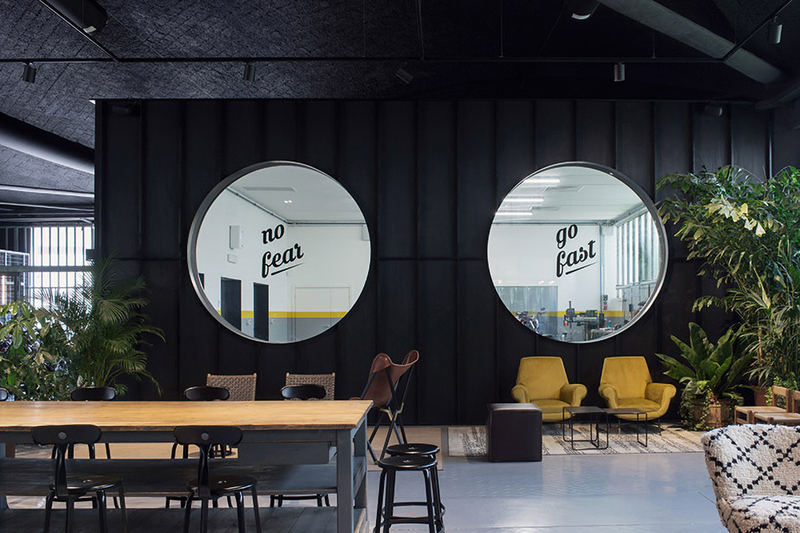 Rather than demolish the former Eni Agip location, interior design firm Visual Display converted the large garage into a stylish gathering place for travelers and the local community. The origins of the project come from the 1950’s Eni Agip locations built around Italy to provide services and amenities to travelers. The location in the city of Udine was restored to its original character as a way to preserve a structure familiar to locals and connect the past to its current use. 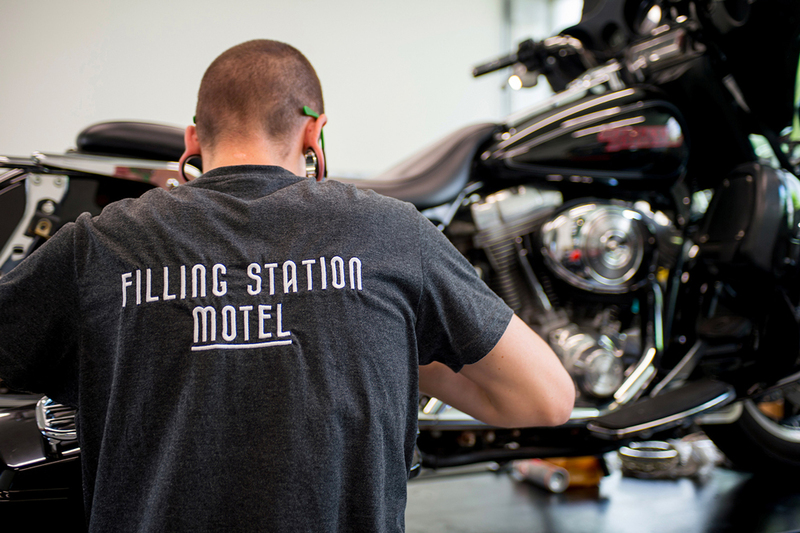 The Filling Station Motel’s main business is motorcycle repair and customization. The workshop is also responsible for producing motorcycles carrying the FSM brand. Customers and visitors can watch mechanics at work through a pair of large circular windows from the adjacent lounge space. A concept store stocks motorcycle-related vintage and fashion apparel as well as riding gear. 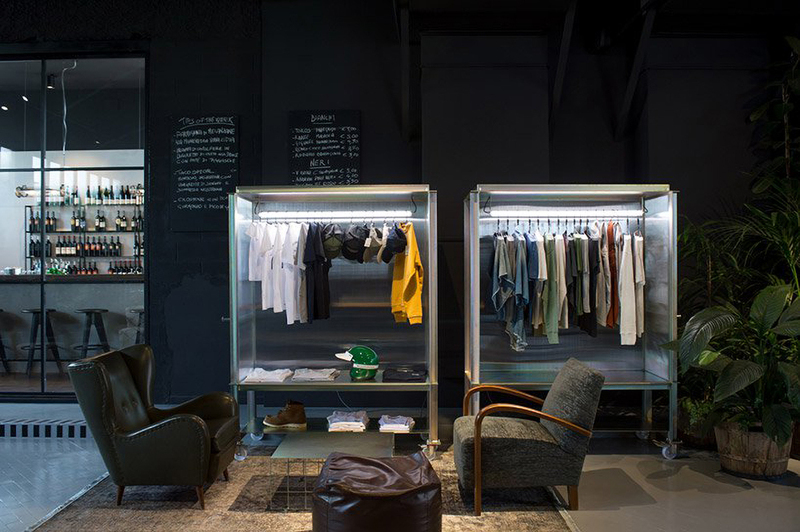 The collection is housed in industrial-style wire mesh display cabinets. FSM’s Osteria focuses on serving locally sourced food and wine. The interior is outfitted with glass tube pendant lights and concrete countertops keeping it within the garage vibe of the rest of the interior design. The Filling Station Motel takes advantage of the former gas pump canopy and service bay to host cruise-in events for motorcyclists. The location aims to be a welcoming place for the motorcycling community as well as an aspiration place for enthusiasts and people looking for a cool place to grab a bite and a glass of wine. The mix of service, socialization and selling aims to be useful for its core audience of bikers. Incorporating sophisticated design and amenities into its experience, FSM hopes to appeal to non-bikers just as well.